Continuing the "Plight Of..." series which has led us around the league, looking into those who work behind the scenes, looks at the MLS Athletic Trainer. On the sidelines, typically with medical bags or water bottles attached to their hips, these are the people charged with keeping the players safe from themselves. From nagging injuries to the violent breaks, the athletic trainer is first on the scene. Joshua Watts, Head Athletic Trainer for FC Dallas gives us insight into what goes on behind the benches and on the sidelines. MLS Reserves: As athletic trainer for FC Dallas, what are your primary responsibilities as assigned by the club? Joshua Watts: "My primary responsibility is anything pertaining to the players’ health. It is our job to assist the athlete in any way necessary to either stay on or return to the field. Sometimes this means that we are getting them set up for diagnostic testing and surgeries or having them see a general practice physician for colds, allergies, etc." MLS Reserves: Take us through your daily routine a bit. When do you arrive, how long do you stay and what in particular do you feel is most demanding in your day to day? Joshua Watts: "We typically come in around 7am to get coaches’ reports together and prepare for the athletes to begin coming in. They usually start coming in about an hour and a half prior to training. This time is spent doing treatment, rehab exercises, and getting them taped. We then watch practice for any issues that may arise as well as work with the athletes on the side based on where they are in their return to play progressions; this is done in conjunction with the strength and conditioning coach. We normally train for an hour and a half to 2 hours. Following training we will do another round of treatment as well as address any issues that arose during the training session. Following a quick lunch we will take care of any administrative work we have. We will normally be out around 4:30-5 in the afternoon." MLS Reserves: How closely do you work with team doctors and nutritionists to keep the squad healthy? Are there any particular challenges that come with that? Joshua Watts: "We work very closely with the Dr on the status and progression of the players and their injuries. The nutritionist actually works a little closer with the strength coaches on any individuals who may need some extra attention." MLS Reserves: Dallas in particular must deal with certain factors that other teams do not, heat in particular. Specifically what does FC Dallas do to combat this heat and keep their players healthy through the summer heat and even traveling to colder climates? How important does your job become with these factors? Joshua Watts: "Heat is definitely an issue in Texas, but I must admit that we have not had any major heat-related cases. We are very proactive in addressing hydration and heat-related issues. This ranges from moving practice times up from 10:00am to 8 or 8:30am, having shorter sessions, increasing water breaks, and making fluids more readily available during practice. We have also used tents and wet towels when the heat levels rose significantly. From a nutrition standpoint we address the need to constantly be drinking fluids throughout the day as well as small changes the players can be making to their diet to help them replenish the needed electrolytes, etc." MLS Reserves: How do you prepare yourself and your staff for match days? Joshua Watts: "Match days are fun days! The players each have their own routines that they go through in preparation. There are things that we need to do with players if they have been injured to make sure they are ready but we also do whatever we can to make sure that they feel like they are ready." MLS Reserves: It would seem that player safety is paramount to your position, how closely do you work with other MLS team trainers when matches are being played either at home or on the road? Joshua Watts: "Player safety is absolutely paramount to us. The players are very important, without them we are not here. I feel like the league does a very good job in supporting the medical staffs around the League and when needed they will step up to help establish new policies and guidelines. As fellow Athletic Trainers I feel like we are all very supportive of each other and we do whatever we can to help. At the end of the day, even though I work for one team, I am a Medical Professional and will do what I can to help others." MLS Reserves: In the post-game what types of things do you have players do to regenerate themselves and be ready to go? Joshua Watts: "We have a meal in the locker room and have given them other recommendations pertaining to their diet, we have cold tubs available, massage therapist, foam rolls, and stretch bands unless they need our assistance. The first session after a game the players will go through a regeneration session for their legs to help get the lactic acid, heaviness, soreness out of the system and get them ready to go for the next match." 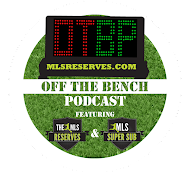 MLS Reserves: Talk to me a bit about who on the team ends up on your table far too often? Joshua Watts: "HAHA, Coach would say anyone who ends up on our table once is there too often." MLS Reserves: Who on the team makes your life difficult? What types of things do they put you through? Joshua Watts: "No one in particular, we have a good group of guys who are very easy to get along with." MLSMLS fans about what you do? Fun stories, silly things required of you or anything else? 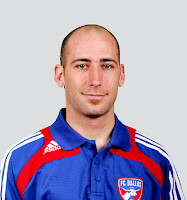 Joshua Watts: "I am currently in my 11th season with FC Dallas and I have seen a lot of growth and very exciting news in our league. I am very proud to be able to say I am a part of it. I have also seen and heard many funny stories as well as been a part of a few. Unfortunately I have no specifics, maybe one day I will write a book. I can say these guys are good guys and they work very hard to make our league what it is now. Thank you for your support." MLS Reserves: Lastly, if students in school have the goal of being in sports medicine, how do they end up working for a Major League Soccer team? Joshua Watts: "My recommendation for anyone really interested in pursuing a career in MLS would be to do internships, and get as much experience working in and with soccer as possible. There are some teams who offer a summer or short term internship and others have season long internships. With the League being around for as long as it has, and with the growth that is taking place, teams are beginning to look for people who know the sport and have been a part of it. Those internships provide not only valuable experience but also create relationships with individuals who can help you get in the MLS in the future." Clearly the Plight of an Athletic Trainer is one that the league and players benefit from. Most encouraging is the progressive, preventative mentality of the trainers in their approach to keeping players healthy. Hydration tactics and regeneration techniques have been improving every year. Watts is a prime example of what makes Major League Soccer so impressive; the passion and effort put forth by the athletic trainers is key to keeping a team competitive. I have a question on how exactly to find these internships. I have been a fan of MLS for years and going to the games actually gave me the passion to become an Athletic Trainer. Therefore, I want to give back to the MLS. I am passionate about American soccer and would love a chance to have an internship.